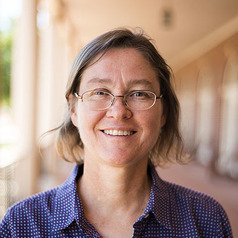 Rebekah Herrick is a professor of political science at Oklahoma State University. She earned her PhD from the University of Nebraska in 1991. Her primary research interests concern issues of representation particularly as they relate gender and legislatures. Other areas of interest concern congressional careers and political ambition. She has published three books and her work has appeared in The Journal of Politics, Social Science Quarterly, Legislative Studies Quarterly, American Political Research, State Politics and Policy Quarterly as well as several other more specialized journals such as Women and Politics and The Journal of Homosexuality. She is currently working on a textbook on the Representation of Minorities in the US.